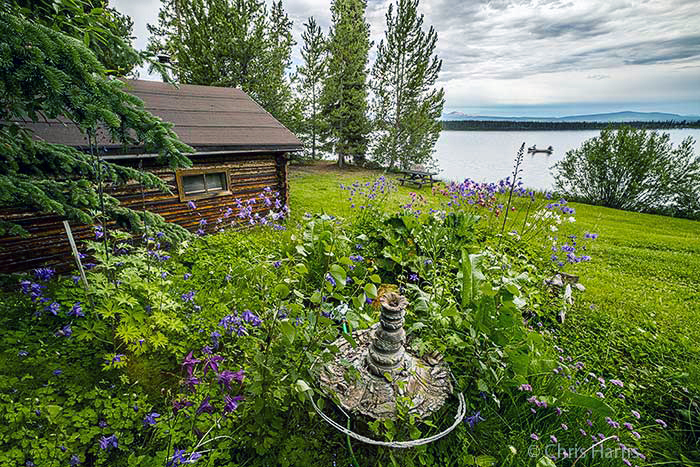 Situated on a secluded peninsula along the peaceful shores of Anahim Lake, Eagle’s Nest surrounds you with comfort, warmth, and the serenity of nature. Whether you prefer a cozy lakeside cabin with down comforter and wood stove heat, or a comfortable suite with sitting area and satellite TV, wireless Internet, and a screened-in balcony, Eagle's Nest provides you with restful accommodations while you enjoy the beauty of the wilderness. 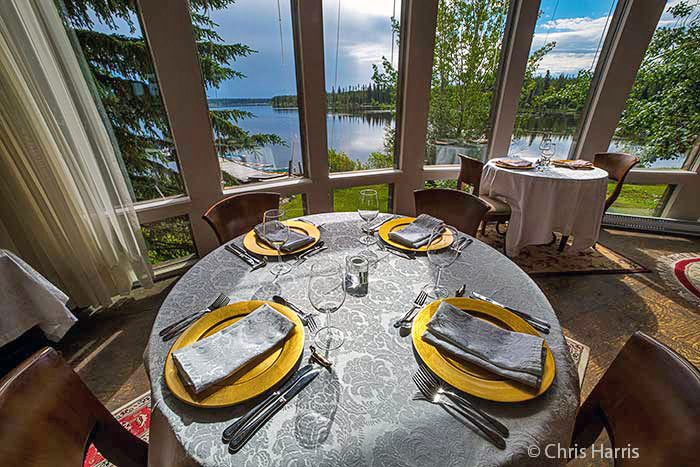 Experience the delicious food in our licensed lakefront dining room, where you will dine under a sparkling crystal chandelier with a beautiful view over Anahim Lake. Enjoy dinner items such as wild west coast sockeye salmon, delicious Bay of Fundy scallops, or authentic Austrian schnitzel, along with our homemade breads and tempting deserts. We also serve a selection of British Columbia wines and craft beers to accompany your meal. See our sample Dinner Menu. A stunning sunset is often the perfect accompaniment to a wonderful meal. We also offer breakfast and lunch menus. 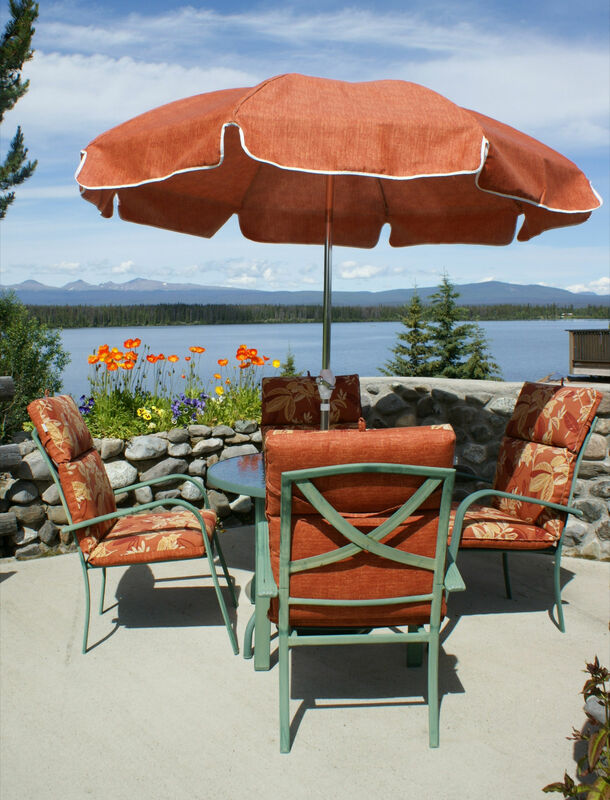 Relax in the Guest Garden, where you can appreciate the beautiful view, the call of the loon, the flight of an eagle, or the buzz of hummingbirds while enjoying a drink or a snack. 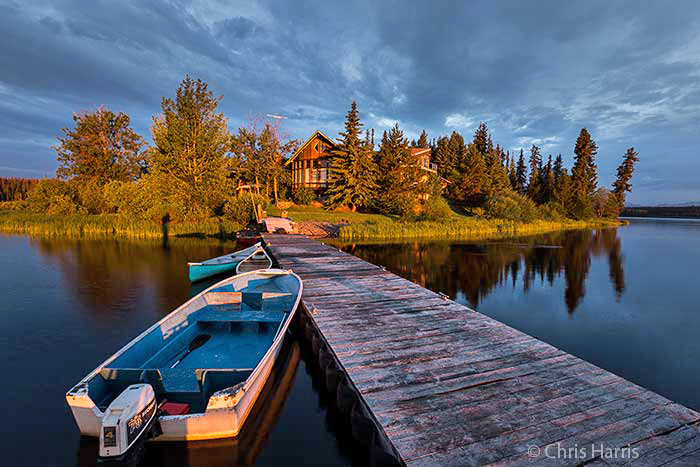 Take some time to see nearby sights or rent a canoe to explore the lake and photograph beaver lodges or pelicans. 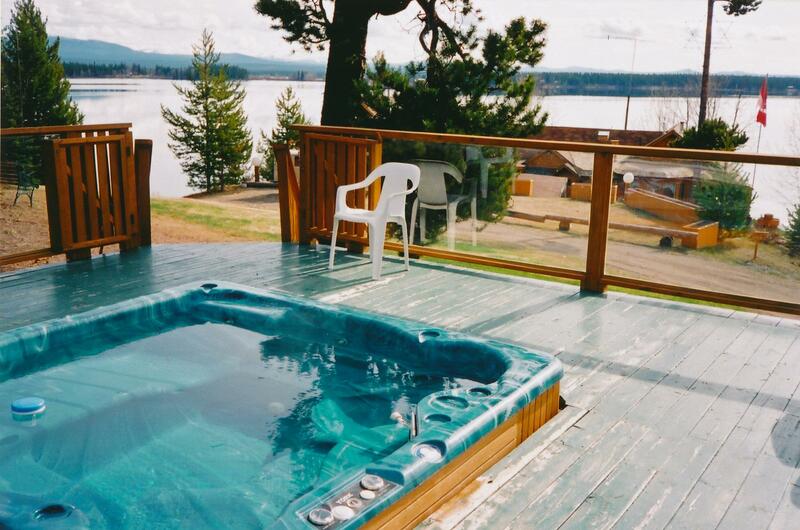 We also offer 24 hour relaxation in our outdoor hot tub, and wireless Internet access. Eagle's Nest is open year round. Join us for a winter getaway or a very festive old-fashioned Christmas. Enjoy the 4,000 Christmas lights around the property, the special Christmas menu, skating on our ice rink, or cross-country skiing on the frozen lake. The northern winter is a special experience. The Chilcotin has a fascinating history. Learn a little bit about it here.